Facebook on Wednesday announced a new service called M, a personal digital assistant that resides inside its Messenger app. Much like Cortana, Google Now and Siri, M is designed to make life a bit easier but the social network’s assistant takes things a step further with some human help. David Marcus, Facebook's vice president of messaging products, announced the new service earlier today in a post on his Facebook page. In it, he said M is powered by artificial intelligence that is trained and supervised by people. Unlike other AI-based assistants already available, M is capable of actually completing tasks on your behalf. Examples Marcus mentioned include purchasing items online, having gifts delivered to loved ones, making travel arrangements, booking reservations at a restaurant and setting up appointments. 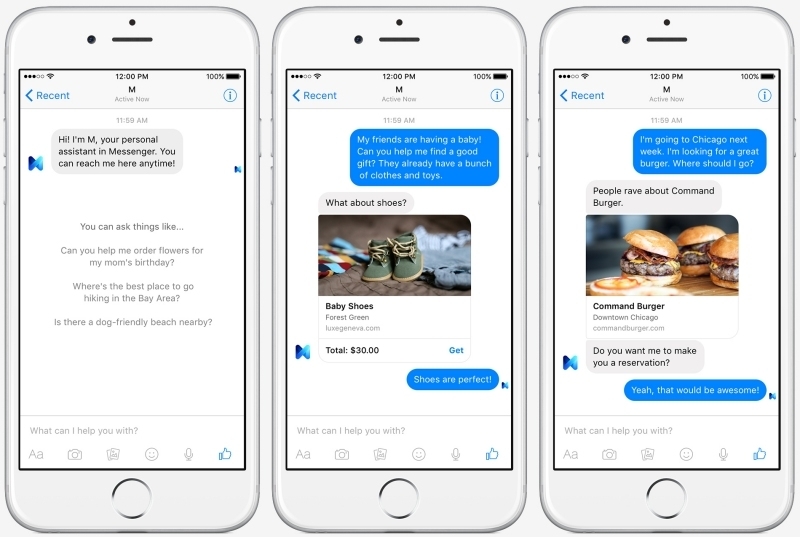 Facebook product designer Jeremy Goldberg said M is an effort to partner human and machine intelligence to create meaningful experiences. Over time, M will gain “automation superpowers” that’ll help the company expand its capabilities, make it faster and scale it to more end-users. Goldberg noted that they’re rolling out M to a small group of testers in the Bay area. It’s unclear when the feature will be available to all although Marcus did note that it is early in the journey to build M into an at-scale service. Without having tested it, there’s no way to know just how well M works in the real world, how quick it is and how much it has to rely on human intervention to help it along the way at this early stage. If it works as seamlessly as Facebook suggests or can eventually get to that point, it could be a serious differentiator in what’s quickly becoming a sea of virtual assistant options.